Expansion of rainforest at the expense of eucalypt forest and grassland in Northern Territory, Queensland and New South Wales, linked to changes in rainfall and fire regimes. Encroachment by snow gums into sub-alpine grasslands at higher elevations. Saltwater intrusion into freshwater swamps since the 1950s in Northern Territory accelerating since the 1980s, possibly associated with sea level and precipitation changes. Eight mass bleaching events on the Great Barrier Reef since 1979, triggered by unusually high sea surface temperatures; no serious events known prior to 1979 (see Section 11.6). Most widespread events appear to have occurred in 1998 and 2002, affecting up to 50% of reefs within the Great Barrier Reef Marine Park. Earlier arrival of migratory birds; range shifts and expansions for several species; high sea surface temperatures associated with reduced reproduction in wedge-tailed shearwaters. Increased penetration of feral mammals into alpine and high sub-alpine areas and prolonged winter presence of macropods. 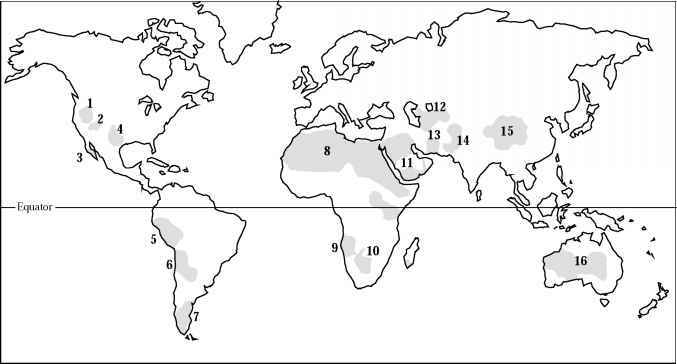 Change in genetic constitution of Drosophila, equivalent to a 4° latitude shift (about 400 km).